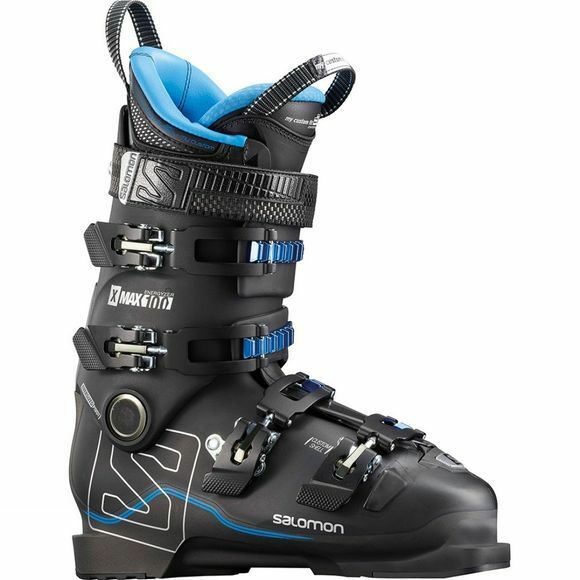 X MAX 100 is a performance race boot combining polyamide-powered Twinframe2 transmission with Custom Shell foot wrapping. Downhill Performance: Twinframe2 design delivers improved rebound and dynamic flex, while oversized pivot provides efficient transmission. Fit: Combined custom shell 360 shell and special anti-packing foams on the liner for a perfect, long-lasting fit.